Need a litte extra room between your stove and your propane tank? With this extension you'll get 5 extra feet. You can hook more than one together if even more space is needed. 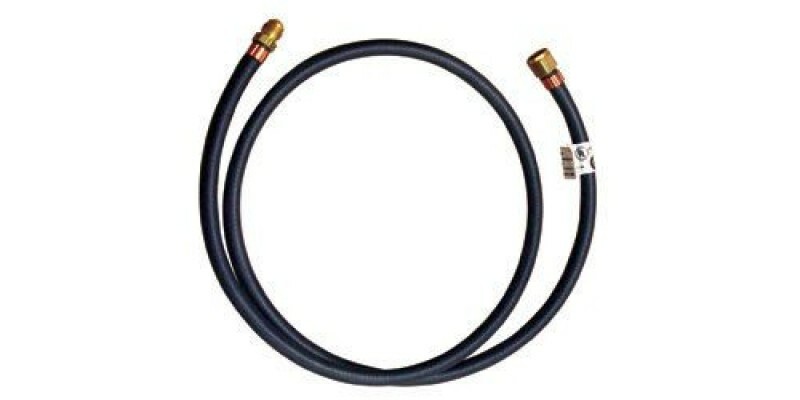 Propane Hose Extension is rated 5.0 out of 5 by 3. Rated 5 out of 5 by Guest from Received quickly and fits perfectly Delivered quickly and is a perfect fit for extending the gas line on a Triton Portable Hot Water Heater. Rated 5 out of 5 by No nick names. from Could not find this anywhere else! Need extra lenght LP line to hook up an on demand water heater for my camper.